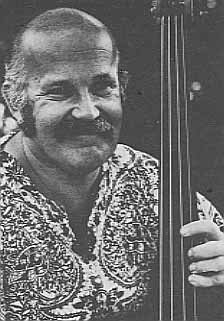 Bertram Turetzky has been a key figure in the renaissance of the contrabass. Since 1955 more than 300 new works have been written for, performed by and recorded by him, making him the most frequently-recorded contrabass soloist in America. His concert career includes a multitude of role performances at concerts and festivals throughout the world. He is the author of The Contemporary Contrabass, a monograph outlining the new techniques of the instrument. He is currently a professor of music at the University of California, San Diego. About Neruda he writes: "Since the first reading of this poem I have been a Neruda aficionado. I hope that this setting supports the power of David Henderson's tribute to the great Chilean poet." About Four for Ray: "This little piece is conceived as a portrait of the greatest "walkin" bassist in the universe - the one and the only Ray Brown of Los Angeles, California, U.S.A."come the benchmark to judge all future recordings blending the world of classical music and jazz."